This Ranger's 33 quality has stood up to time. Gel coat shines on her hull. The sturdy joinery of her cabinetwork is evident throughout. The polish of her teak remains. Sails and rigging appear in good serviceable condition. The seller keeps her diver cleaned on a monthly basis and has her ready for the next owner. Stock #156383 She's ready to go sail away into the sunset! Climb aboard and set sail! If you are in the market for a cruiser, look no further than this 1978 Ranger 33, just reduced to $16,000 (offers encouraged). This vessel is located in San Diego, California and is in great condition. She is also equipped with a Universal Atomic 4 engine. Reason for selling is retiring from sailing. This Ranger is in extremely good condition, having been barely broken in. seller estimates under 100 hours of use on the engine. This can be verified by any Evinrude dealer. Seller says the only mechanical thing that needs repair is the livewell switch, which no longer operates to open and close the livewell valve. There is minor staining on some carpets, but this boat is in otherwise great condition. 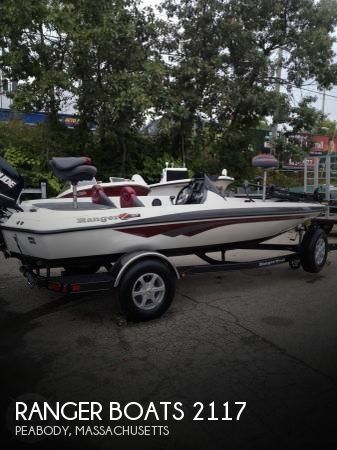 Stock #174767 Auto Bilge pump ,Compartment and live well, measuring board, retractable rod holders, deluxe cooler, bike seat, power pedestal If you are in the market for a bass boat, look no further than this 2013 Ranger Z117, priced right at $27,800 (offers encouraged). This boat is located in Peabody, Massachusetts and is in great condition. She is also equipped with a Evinrude engine that has only 90 hours. Reason for selling is not using the boat enough. This vessel is in very nice shape. The very knowledgeable owner has taken care in this vessel. Marina receipts are available for this well-maintained vessel. All her floors are in excellent shape and she feels very solid walking on her decks and side decks. Seller has included life jackets and complete set of flares and flare pistol. Also included a spare anchor and a spare propeller. 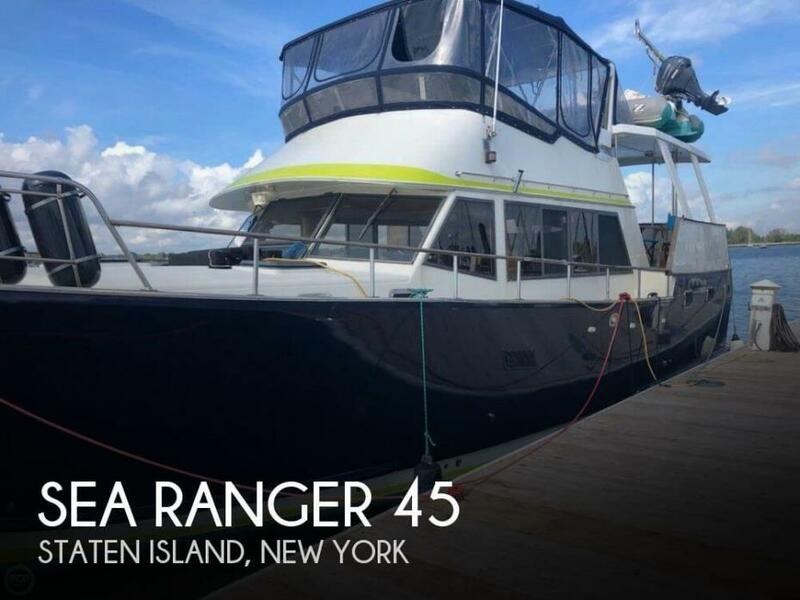 Stock #161876 LOADED+ Real Nice Boat w Full Aft Enclosure + newer Generator newer electronics/ Bow Thruster/AC/ Zodiac CC Dinghy w/ new 25 HP Yamaha 4 stroke If you are in the market for a trawler, look no further than this 1986 Sea Ranger 45, priced right at $94,500 (offers encouraged). This vessel is located in Staten Island, New York and is in great condition. She is also equipped with twin Caterpillar engines that have 2,700 hours. Reason for selling is does not use often enough. Owner states the boat has received all scheduled/ recommended maintenance since he has owned the boat. Owner further states all services are up to date. Maintenance records are available. One-Owner. Tennessee. Garage Kept Stock #174181 Boat is in excellent condition! Garage kept & Fully Loaded for fishing or fun! If you are in the market for a bass boat, look no further than this 2016 Ranger Reata 190 LS, priced right at $42,800 (offers encouraged). 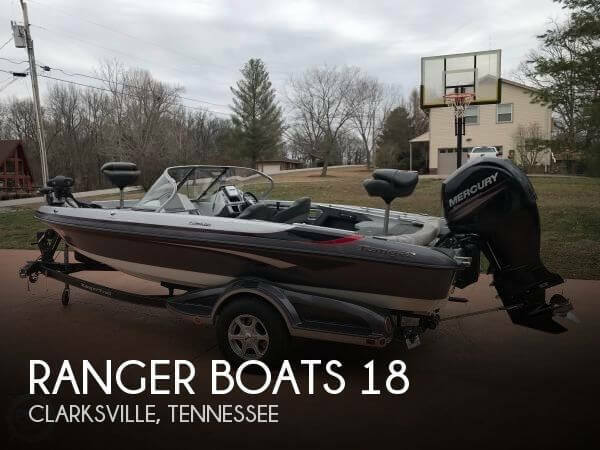 This boat is located in Clarksville, Tennessee and is in great condition. She is also equipped with a Mercury engine that has only 134 hours. Reason for selling is wants a different type of fishing boat. Center forward storage easily holds 8-foot rods. Ample below deck storage for extra gear and tackle. Aft fish hold for the big mouth keepers. Removable navigation lights to keep the decks clear while fishing and easily install the lights when heading back to the launch at sundown. Full boat cover. Stock #168963 ONLY 14 hrs!! Has three bank battery charger, boat cover, boat buckles, all the extras, 5 year transferred warranty. 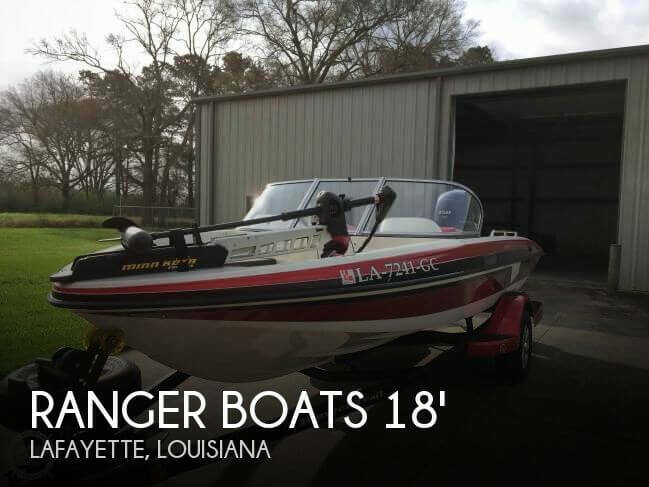 If you are in the market for a bass boat, look no further than this 2017 Ranger RT188, priced right at $31,200 (offers encouraged). 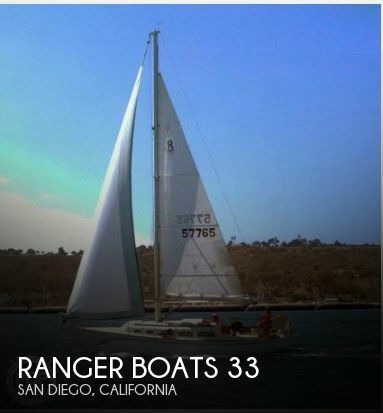 This boat is located in Escondido, California and is in great condition. She is also equipped with a Mercury engine that has only 14 hours. Reason for selling is divorce. Ready to fish, new water pump, installed when oil was done just recently. Few tears on seats are really the only thing new owner might want to repair, (as shown in photos.) All other regular maintenance performed on time. Stock #154330 Ride Like the Wind on this Smooth Flying Ranger Bass Boat! 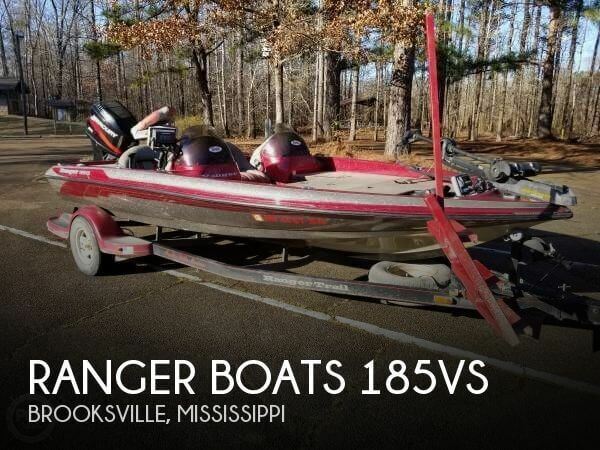 ( with trailer) If you are in the market for a bass boat, look no further than this 2002 Ranger 185VS, priced right at $16,000 (offers encouraged). 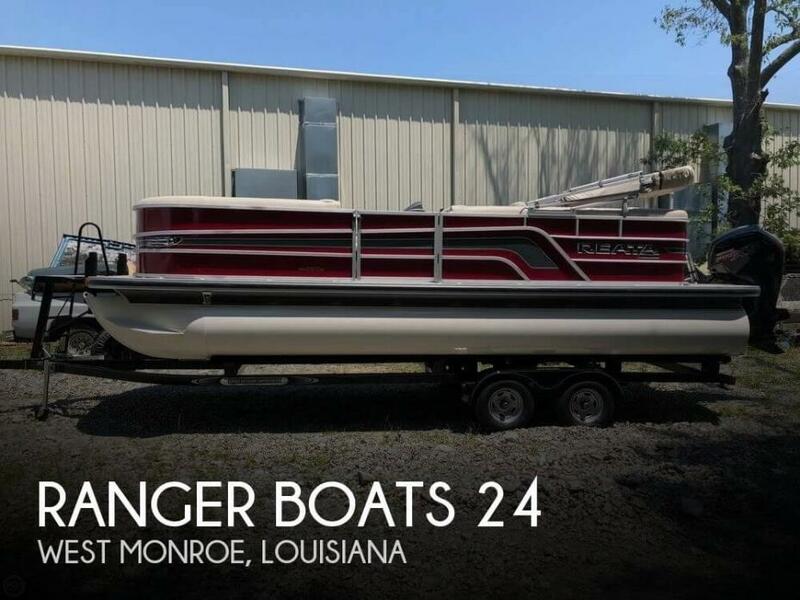 This boat is located in Brooksville, Mississippi and is in good condition. She is also equipped with a Mercury engine that has 500 hours. Reason for selling is too many boats. With just over 100 hours and not put into its light service until later in 2015, this Ranger shows very little signs of wear. It is an excellent choice if you want a water-ready freshwater fishing machine. The trailer has been well maintained. Stock #155453 NEW POWERHEAD OCT. 2018! - NICE NICE - loaded with options including trolling motor with remote operation! If you are in the market for a fish and ski, look no further than this 2014 Ranger Reata 1850LS, just reduced to $39,900 (offers encouraged). 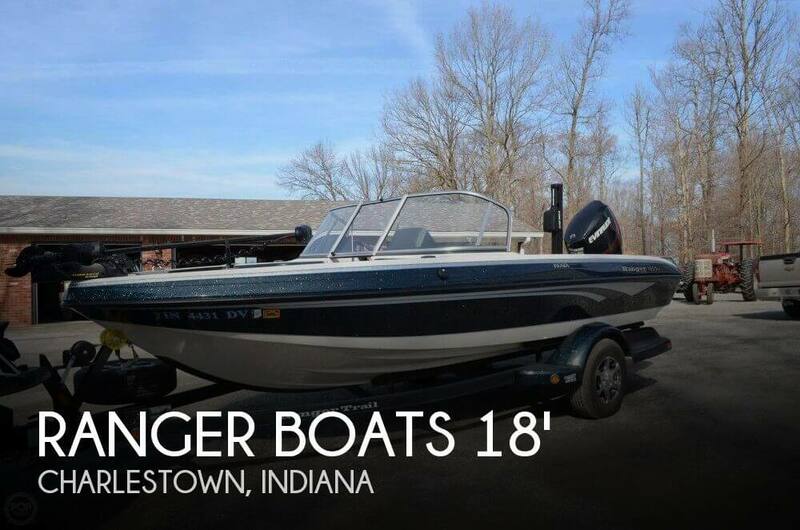 This boat is located in Charlestown, Indiana and is in good condition. She is also equipped with a Evinrude engine that has only 108 hours. Reason for selling is downsizing. The mainsail was just professionally cleaned, the genoa was also professionally cleaned and cut to fit the new fuller-furling. The new items include the standing rigging, running rigging, roller furling, anchor, anchor roller, and anchor rode. The 9.9 Hp high thrust outboard is a new 2018 model. It also has a new BBQ. The current owner purchased the boat in 2017 in need of refurbishment, refinished and refitted the boat inside and out, added a new dodger, and then decided to get a larger live-aboard boat. The hull was refurbished and painted with 7 coats of paint. Stock #170517 Fully restored Ranger 26 A great sailing boat ready for racing or cruising. 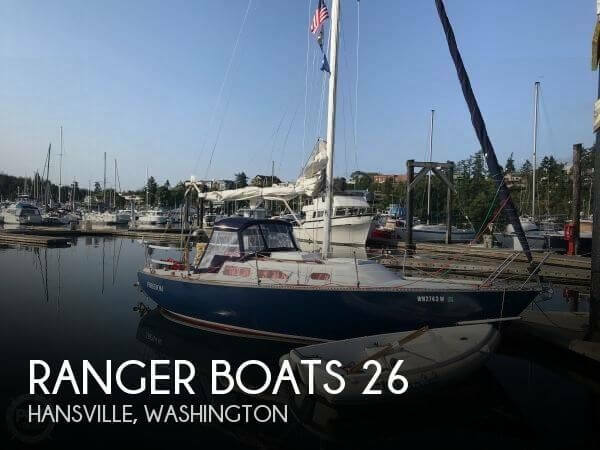 Many new upgrades If you are in the market for a sloop, look no further than this 1974 Ranger Ranger 26, just reduced to $13,500 (offers encouraged). This sailboat is located in Hansville, Washington and is in great condition. She is also equipped with a Yamaha engine that has only 25 hours. Reason for selling is moving to larger live-aboard boat.. 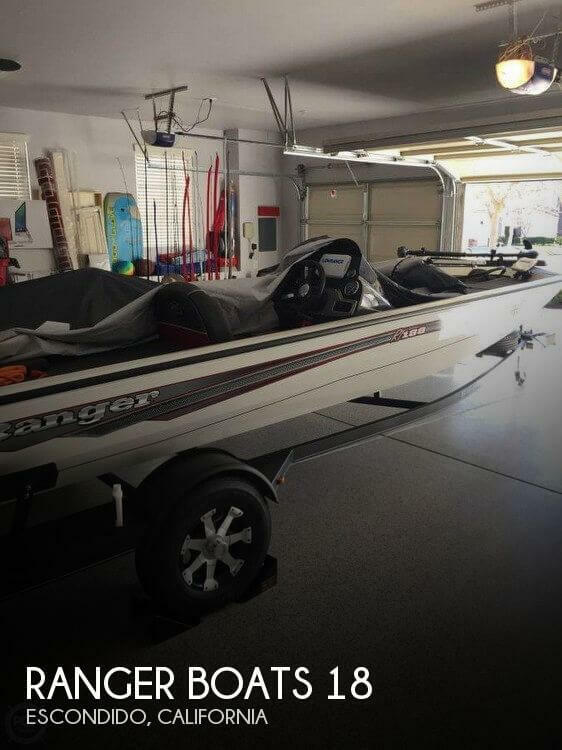 This 2011 Ranger 211 VS has never seen salt water and her original owner moved her to FL from OK. The boat, motor, and trailer show like new with the metal flake hull dazzling in the sunlight! The boat is always kept covered with a storage cover. 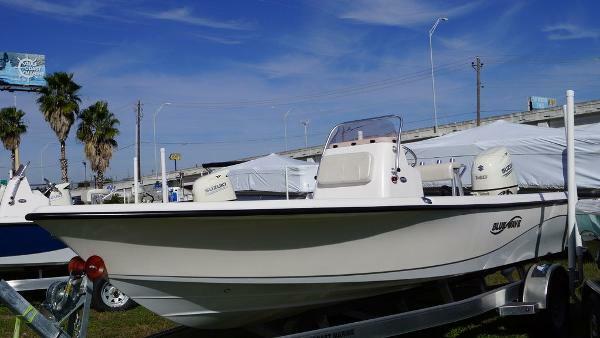 Stock #165995 Excellent condition, bimini top, Yamaha Vmax, very well maintained! If you are in the market for a fish and ski, look no further than this 2011 Ranger 211VS Reata, just reduced to $33,500 (offers encouraged). 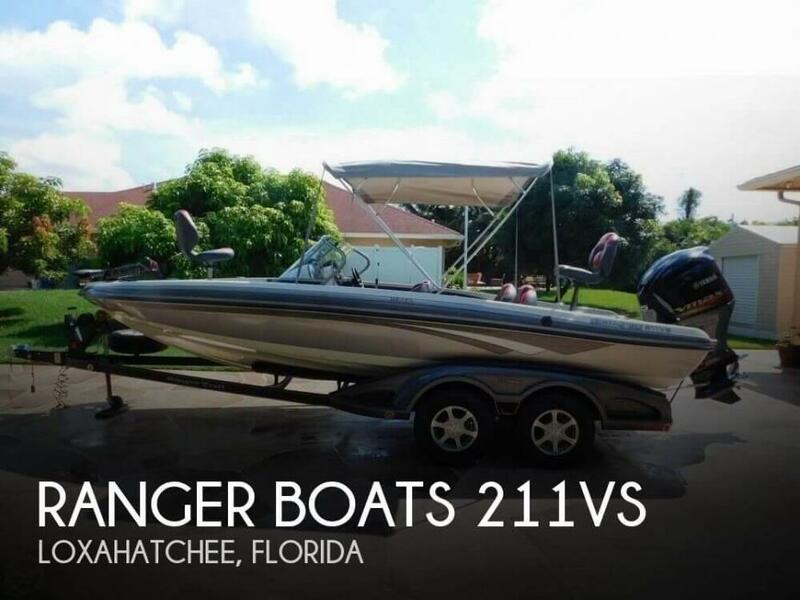 This boat is located in Loxahatchee, Florida and is in great condition. She is also equipped with a Yamaha engine that has only 100 hours. Reason for selling is not using. Current owner (2nd Owner) says his 2003 RANGER 620 T is in "Excellent Overall Condition." As received from the current owner; -The boat has only been used in Freshwater...!! -Always serviced & maintained annually in the Fall, or as needed during the season -Very small gel coat nick on port side bow -Trailer has newer LED lights at rear -There is a small mounted step bracket on the trailer that seller installed and is not included with the trailer ****Owner purchased the 2012 Mercury Opti-Max OB in 2013 & estimates around 150 Hours on the OB**** ***I have not inspected this vessel in person. 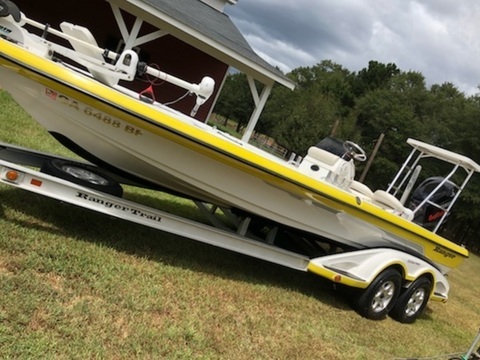 Pictures and details have been provided by the owner, please do not hesitate to contact me with any specific questions, to submit an offer, or schedule a showing*** Stock #169515 "2012 MERCURY OPTI-MAX 125 HP 2-STROKE OB...!! MINN KOTA TROLLING MOTORS, BOW & STERN...!! BIG TILLER HYDRAULIC STEERING SYSTEM & WAVE WACKERS..!! If you are in the market for a bass boat, look no further than this 2003 Ranger 620T, priced right at $26,000 (offers encouraged). 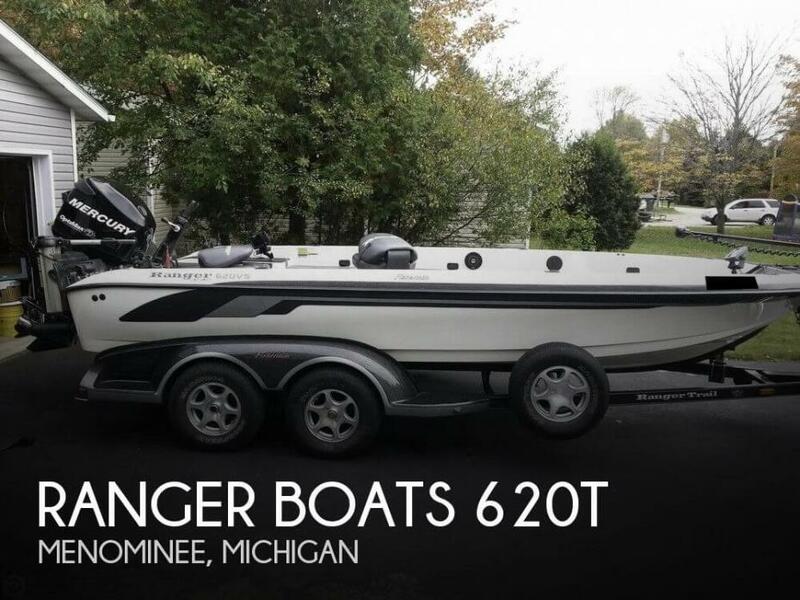 This boat is located in Menominee, Michigan and is in great condition. She is also equipped with a Mercury engine that has only 150 hours. Reason for selling is sizing down.